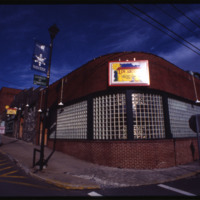 This color slide shows Los Arcos Mexican Restaurant at the the northeast corner of Depot Street and Howard Street. 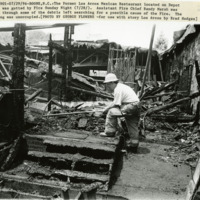 The restaurant burned down in 1996. As of 2019 this is the site of Footsloggers. The slide is numbered "14."